The recent auction price of the land in Raidurg village is seen as an indication that the real estate activity in Hyderabad is revived, according to P Dasharath Reddy, President, Telangana Real Estate Developers Association (TREDA). 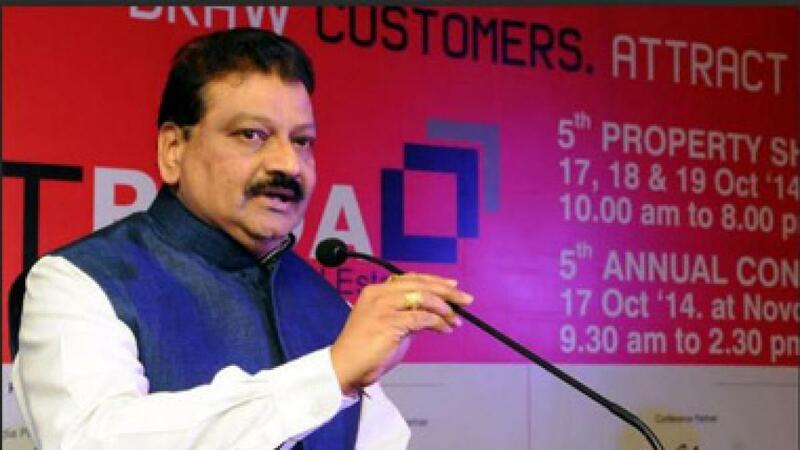 Hyderabad: The recent auction price of the land in Raidurg village is seen as an indication that the real estate activity in Hyderabad is revived, according to P Dasharath Reddy, President, Telangana Real Estate Developers Association (TREDA). "The higher auction price is a positive signal, even as Aurobindo has bought land for their industry needs," Reddy told The Hans India, adding that the price movement will give enough thrust to the real estate activity in Hyderabad in particular and in Telangana in general. The pharma major, Aurobindo Pharma had purchased about 5 acres land at a price of Rs 29.28 crore an acre and 3.65 acres of land at a price of Rs 24.88 crore at Raidurg. Reddy said that the real estate development activity was not stopped even earlier, though it was slow. "I do not like make any futuristic statements, now, but rest assured we are confident the activity is picking up in Hyderabad." Meanwhile, the state government has come up with various sops to enthuse the housing sector by removing bottlenecks in the existing building rules thus giving opportunity for fresh investment into the sector. Welcoming the decision, Reddy said, “Government acted proactive and accepted most of our suggestions.” He felt the new norms would benefit the sector and help the builders to complete project quickly. Recently, the Chief Minister K Chandrasekhar Rao stated that the land price at the TSIIC auction at Raidurg, Kokapet and Manikonda reveals that the real estate market is once again booming. However, the analysts are of the opinion that the prices are high and they cite it as a reason for not participating by the major real estate developers in the country. They feel that the prices must be realistic and on the lines of rental values, which will help to attract global investors including private equity firms to invest in Hyderabad. However, the state officials said there are enough enquiries even from big developers and firms, and most of them are expected to participate in the next round of land auctions. According to the industry data at national level, about $3 billion has been invested in the realty business by funds and private equity firms and one more $1 billion is expected to be raised in the next three month in 2016. To substantiate the opinions of the developer community, the 2016 report of the 'Buy Vs Rent Report' from ArthaYantra reveals that that buying a house will be better option than renting in the Telangana capital, Hyderabad. For instance, a buyer who is earning Rs 8 lakh a year will borrow 80 per cent of the property price, where the prices have fallen by about 10 per cent in last 4 years, while the rents are up by just 1 per cent. Instead of paying rent, the home buyer will pay EMI.